This entry is part 7 of 8 in the series Euro Summer 2013. What’s a very Dutch looking castle, filled with elephants, doing in the heart of the Danish capital? 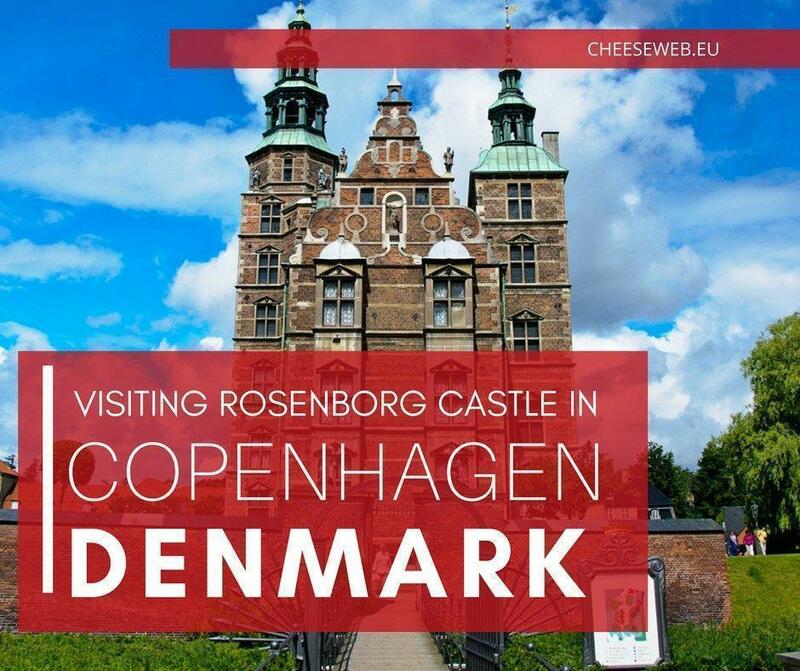 We decided to discover the secret facts about Rosenborg Castle, in Copenhagen, Denmark, to find out. Copenhagen, Denmark was the next stop on my European travels, with my friend Jenn. 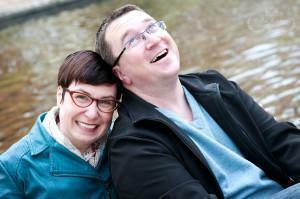 After our whirlwind tour of Paris, we were looking for a slightly more laid-back adventure. We found it in Copenhagen. Andrew was able to join us on this leg of our tour, and the three of us enjoyed wandering the city by bus, boat and on foot. As you’ve probably noticed, we have a thing for castles. So, we decided to visit the beautiful Rosenborg Castle (Rosenborg Slot in Danish) and check out the famous Danish Crown Jewels, kept inside. We arrived at the castle via the palace garden, or Kongens Have (“The King’s Garden”). In July, the garden was brimming with blossoms, and although it wasn’t crowded, there were plenty of locals relaxing on the shady benches and picnicking on the grass. It is the oldest and most visited park in central Copenhagen and hosts exhibitions and concerts throughout the summer months. 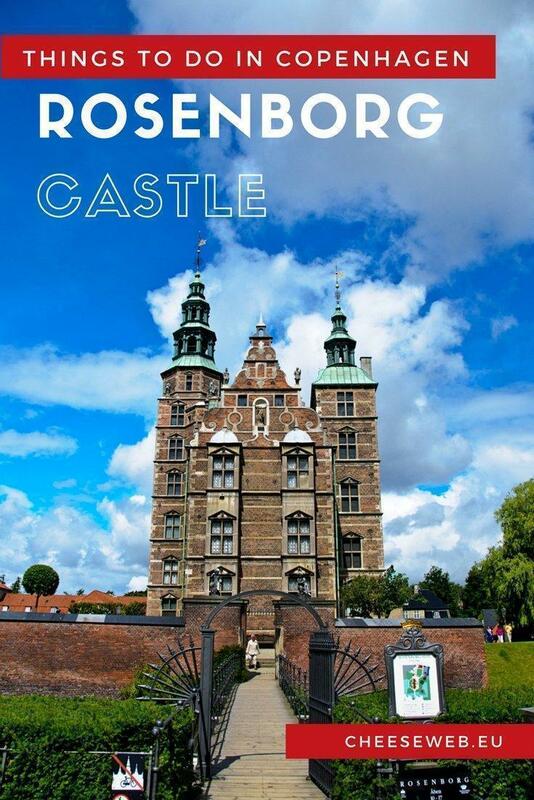 You can take a private guided tour of Rosenborg Castle (for up to 3 people) or explore on your own. If you aren’t taking a tour, make sure to get your Copenhagen City Pass so you can save money and skip the lines which can be brutal in the summer months. 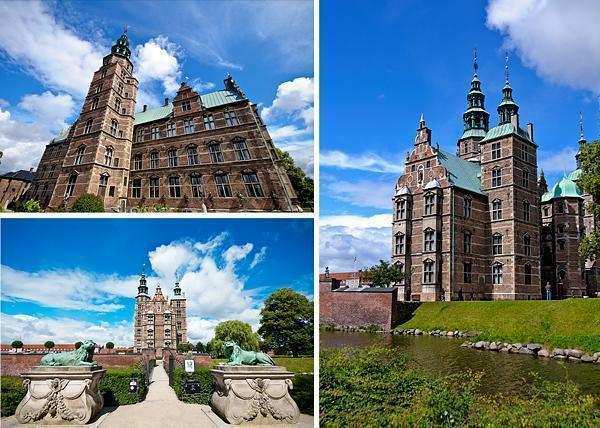 If Rosenborg Castle’s architecture looks familiar, it’s because it was built in the Dutch Renaissance style, in 1606. 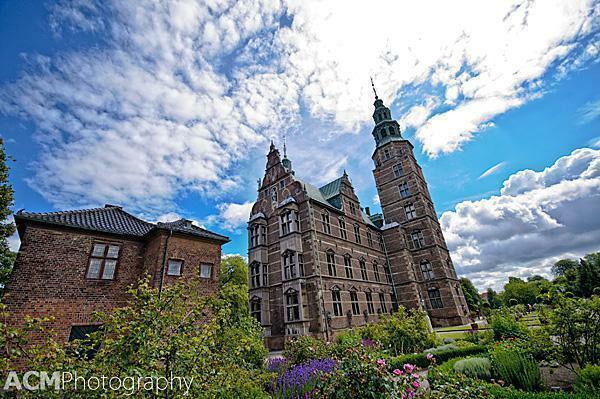 This grand building was originally the summer home of Christian IV, the longest-reigning monarch of Denmark-Norway. Christian IV was known for his ambitious projects and was responsible for the construction of many of Copenhagen’s famous buildings. The castle was expanded several times, until 1624, and it eventually became the primary royal residence. Finally, in 1710, Rosenborg fell out of fashion with Christian IV’s great-grandson, Frederik IV. Frederik, instead, used Rosenborg to house the royal family’s vast collections. Rosenborg continues today, as home to the Royal Collections. 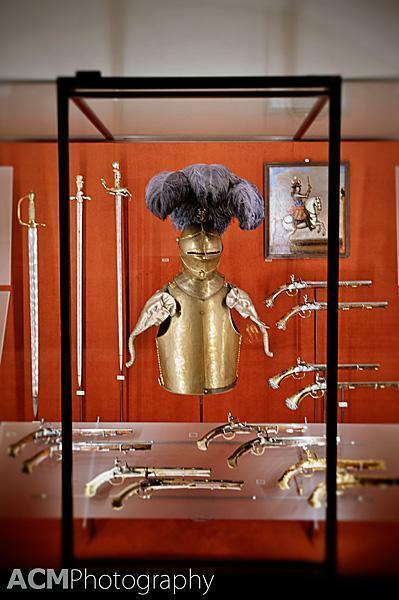 The museum contains pieces from the 16th to the 19th century, including the Crown Jewels and the Danish Crown Regalia. Our visit inside the castle began with a self-guided tour through the many rooms, filled with art and furniture, collected by the royal family. 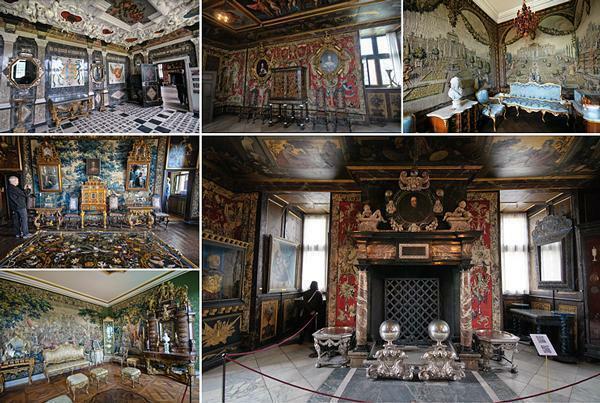 Even more splendid rooms in the castle, including one, made entirely of marble (top left). 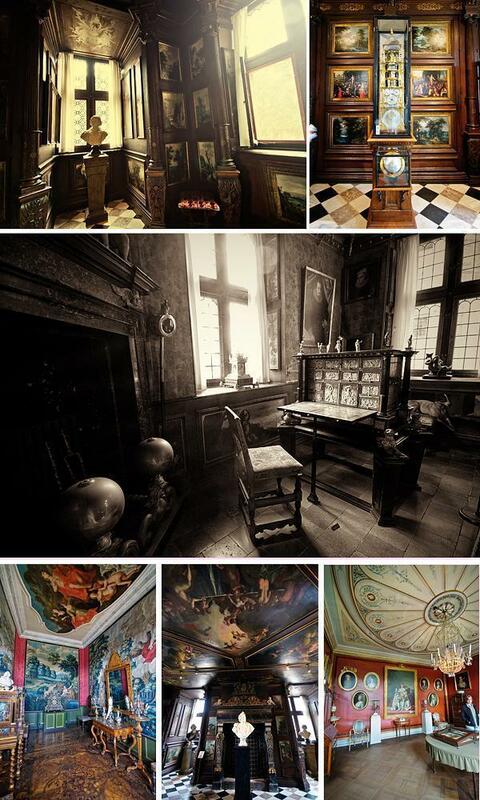 The most striking room is the Long Hall. Formerly a ballroom, the hall was also used for banquets and receptions. At the far end of the hall, sits the king’s coronation chair. The throne of the queens is guarded by three, almost life-sized silver lions. The Long Hall, complete with silver lions and the Danish crest. On the ceiling is the Danish Coat of Arms, surrounded by the Order of the Elephant. In fact, with an elephant-lover in our midst, we couldn’t help by notice the elephant motif throughout the castle and its collections. The Order of the Elephant is Denmark’s highest honour and is now almost exclusively bestowed on royalty and heads of state. Look closely at the suit of armour and you’ll see the arms are elephant heads. We ended our tour in the vault of the Crown Jewels, where the most stunning display was Christian IV’s jewelled crown. However, the other pieces on display were also impressive. Judging by the crowds, the vault is undoubtedly the most popular tourist attraction at the castle. The Danish Crown Jewels, Rosenborg’s star attraction. Our visit to Rosenborg Castle took around two hours and helped us escape a sudden downpour of rain. 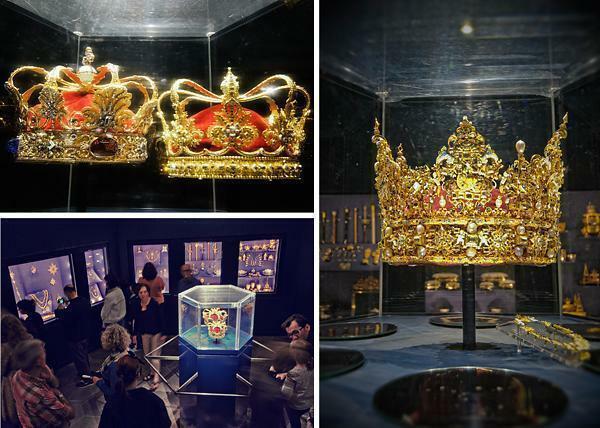 It was a fascinating peek inside Denmark’s royal history and is well worth a few hours of your time in Copenhagen. Getting to Copenhagen from Brussels is relatively easy (and certainly well worth it). There are direct flights with Brussels Airlines and SAS from Brussels International Airport. (Check out our post on travelling from Belgium for more ideas). Find loads more things to do in Copenhagen Denmark in our articles or check out the top Copenhagen attractions below.